Not your average Alarm Clock! Wow that was fast. Just as I posted my last updated, someone got last clock off my Etsy store! That's all folks, see you in 2 weeks! I know I said before that I have last clock left before long vacation, however 2 good things happened. First LED displays arrived a lot sooner than expected! And second I though I was out of V1 PCBs, but I found one laying on my desk among the mess :) So I can still make one more clock if you order before this Saturday! Wow what a week! Since my clock was featured on several gadget sites, I sold out all my current stock of Xronos V1.0. There's just enough parts left to build one last clock, until next batch arrives, so if you really want to get one next week hurry up to my Etsy store! :) Also I'm going for a vacation and will be back around 3rd week in June. Sadly I probably won't have much access to the internet, so I might not be able to answer support questions immediately. So around 3rd week in June is when I'll should get enough parts for second batch of Xronos clocks! These will be based on V 2.0 PCB, but might not have all the functionality of V2 implemented right away (such as RF receiver). Such functionality will require a processor upgrade to ATMega1284p. 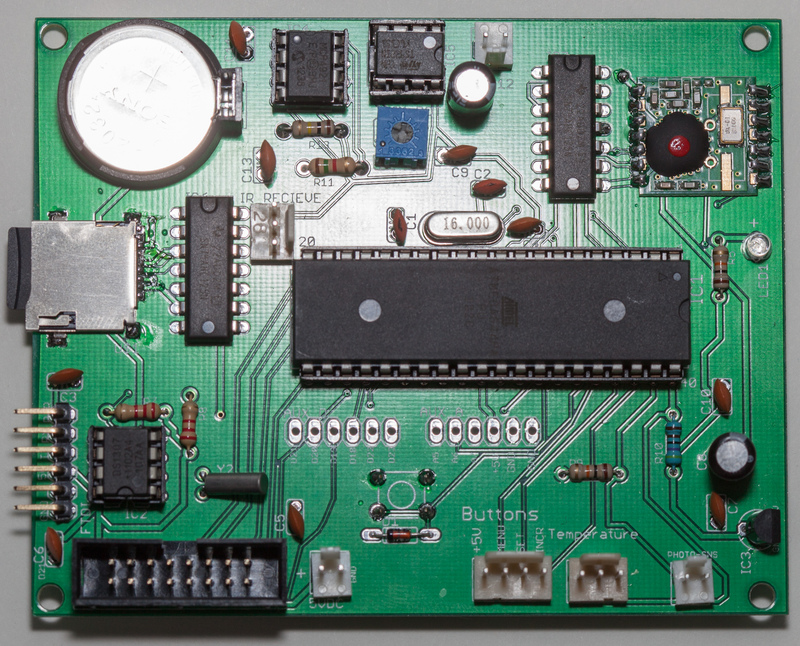 However if you are handy with soldering you'll be able to upgrade new version of the clock easily (just buy and solder RFM12B transceiver and swap ATMega644p for ATMega1284p). Radio support will be provided as firmware upgrade patch. Internet is buzzing about Xronos! All Xronos clocks today $200! :) Check my Etsy shop!